Condition: Hardcover. In English and Chinese. Filled with coin replicas from the Qing Dynasty. 2 coins per page. Condition: Hardcover. In English and China. Filled with coin replicas from the Qing Dynasty. 2 coins per page. 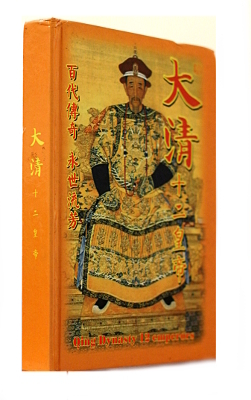 A book in English and Chinese, with 12 replicas of coins from each of the 12 emperors of the Qing Dynasty. A short description of each emperor is given.